The Daily Dimwit: A Trade and a Contest Won! First up, I have a couple cards acquired from Charles over at Lifetime Topps Project. We went back and forth for a bit and finally struck a deal to land me these two AWESOME Gypsy Queen cards! This gives me 19/24 (79%) completion of the mini relics (I need Jeter, Munson, Ruth, Gehrig and Musial). This gives me 10/20 (50%) completion of the full sized relics (I need Cano, Molina, Rolen, Howard, Pedroia, Jeter, Ortiz, Gardner, Braun and Ellsbury). This chase is going pretty well so far, I'm really hoping to get the bigger names this summer possibly. I really need to get to working on those full sized relic cards, and I'm hoping the price will drop on some of those once the 2012 GQ release date gets here. 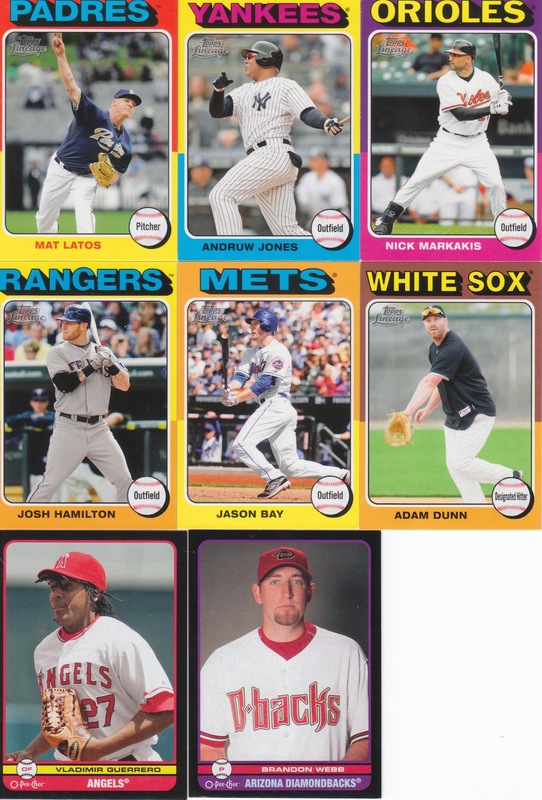 That's a lot of retro 1987 Topps!!! They are all in a pile for Offy as part of a pending trade (except for Gardner and Kendrick as they are dups of ones already in the pile). Offy, you're up to 16 total now, just FYI. That's a lot of mini's! Thanks Brian! Anyone see something they want, they are all for trade except for the aforementioned 87 mini's for Offy! 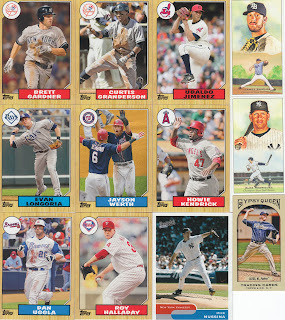 I've got a product review post coming up later today for Panini Playoff Contenders 2011! All nice pickups and congrats on the win. This post came at just the right time. I knew that I had something in the works with someone for minis, but I couldn't remember who. Do you have any interest in a James Mouton unautographed auto card or a Shane Reynolds gold auto from 1996 Donruss Signature? I can add them to your pile if you are. 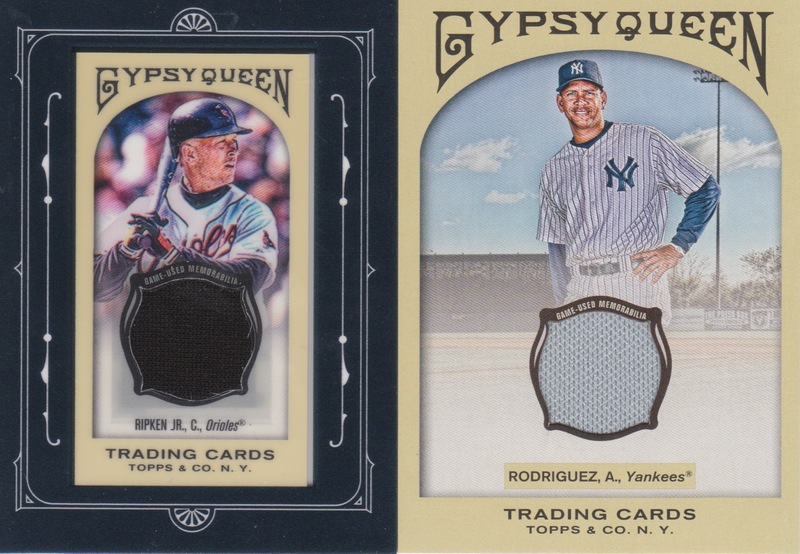 Glad we worked that out - I'm excited for the posts as that Gypsy Queen project comes along!